Go beyond a great looking website—turn your website into a valuable team member. Whether it's sales, support or operations, your site can play a vital role in the interaction with your audience. Managing your website can be simple and easy with a Content Management System. You don't need to understand HTML or have an extensive technical background. The content editor has utilizes familiar word processing icons and the robust file management tools allows for easy upload and placement of images, PDF, audio and video files. If sales have any part in your business plan, enlist your website as your most important sales rep. Working 24 hours a day, 7 days a week your digital salesperson won’t need any weekends, vacations or sick days. With e-commerce built into your website, you have the ability to extend your reach while automating much of the process. Whether you have one product or several thousand sku’s, e-commerce is a must in this day and age. One of the most consistent ways of staying in front of your customers and potential customers is through Email Marketing. With an email communications template that incorporates your website design styles, you can successfully carry your brand across channels and have direct interaction with your audience. Email is an effective form of communicating important and timely bits of information that will bring visitors to your site to find out more. Are you a content publisher? Do have content you want to readily share? Do you want to be an industry resource? When social media is mentioned, many people automatically think Facebook and Twitter which are important parts of the social landscape, but blogs are a vital component for sharing information and building community. In it’s simplest of forms, we like to view blogs as the place where your content gets developed and Facebook, Twitter, StubleUpon, Pinterest, etc. are the outlets used to share your content. Blogs also, when written correctly, have a unique SEO advantage over most other social mediums. This attribute has the ability to bring visitors via related interests rather than traditional social circles. Data, when gathered, filtered and interpreted correctly, can substantially drive business. Whether you are looking to do market research, gather lead information, ask for customer feedback or just have a contact form, having the ability to build and make available is key. We can provide you with a simple but powerful form building tool – you don’t need to understand how the form functions, you just need to know what information is important to you. 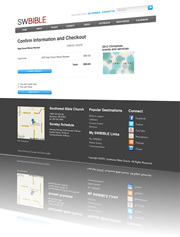 Create events, manage attendees and accept payment on your website. There are no limits on the number of events you can create and each event can be free or paid. Accept several payment options and manage cancellations, refunds and adjustments fight from your website. Include any number of payment options per event ( 8-10 years old, 11-12 years old, etc.). Create payment options based on date (early, regular, late). Limit the number of registrations per level and/or per event. Quick email to registrants per level or event. 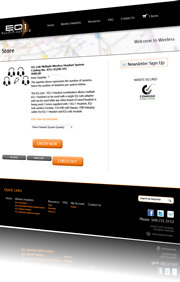 Make registering for your next event hassle free. Showing events, activities and other date related information can be done within your branded website. Display month, day or details and have any number of categories that can be displayed through a user defined filter, providing users with the information they want. 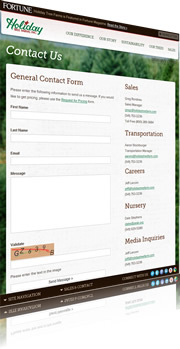 Event details can include images, text, links and files to include additional information or forms. Keeping vital programs in place for many organizations requires fundraising activities. Accepting donations online makes it quick and easy for visitors to make one time or recurring donations. Give your visitors the ability to donate when and how they want within the context of your own website design—no redirects.